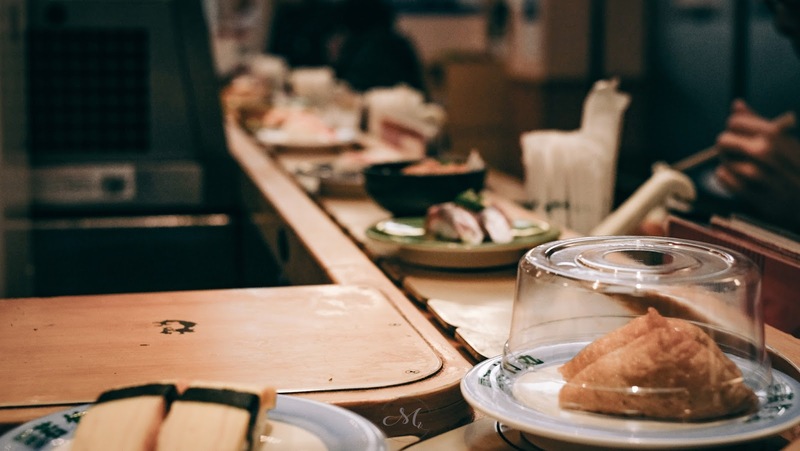 Conveyor belt sushi or called kaiten-zushi in japan is the fun, easiest, yet inexpensive place for having sushi. You dont have to settle for a whole set that you might don't like all of it. You can easily grab exactly what you want whenever it rolls by. Back in Korea i can easily found lot of this kind of sushi but it wont be as authentic as Japanese Sushi. 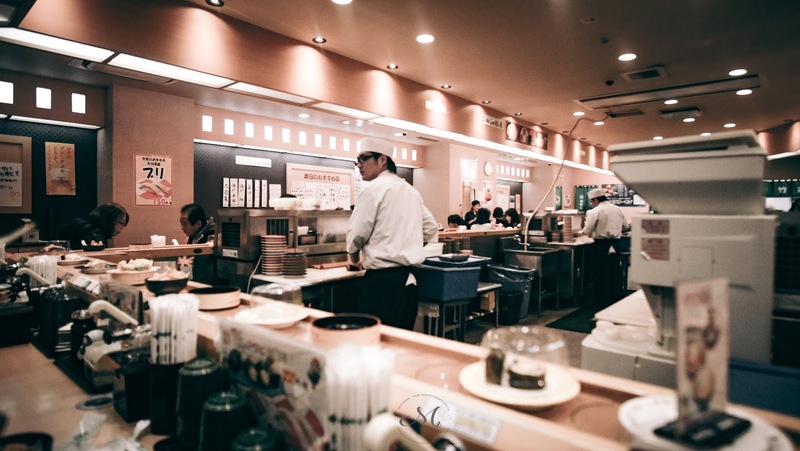 In Japan, you can easily find lot of sushi place that sold set type of sushi but most of them are quite expensive and Nagasaki is not a big city. 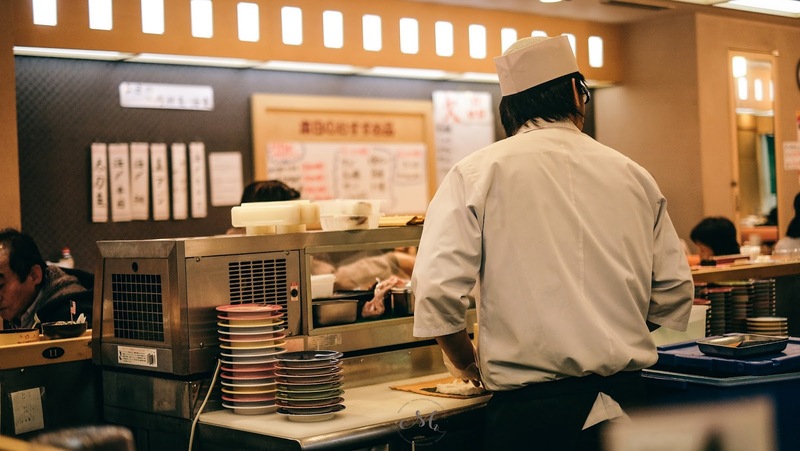 Luckily i found this cheap kaiten-zushi place near our hotel in Nagasaki called Wakatake Maru. the cheapest plate cost 100¥ or 1 USD which is super cheap!! 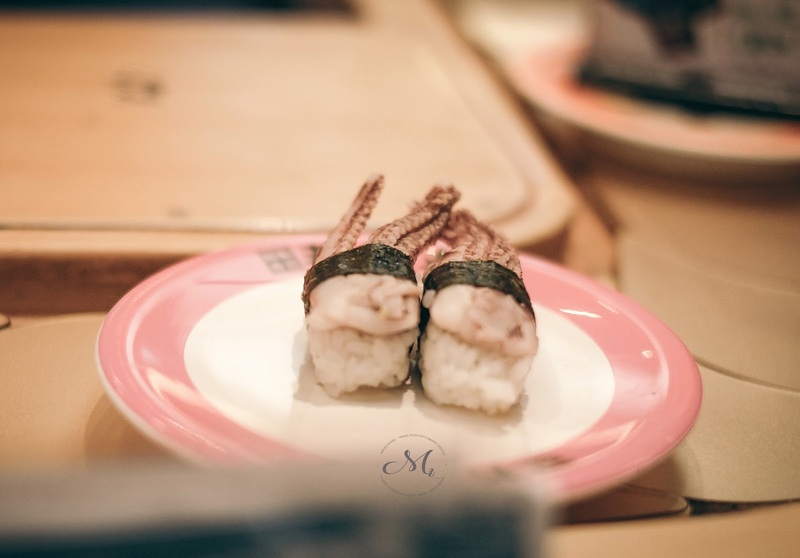 Wakatake maru is located at the 2nd floor of amu plaza building, near Nisihamanomachi Tram station.